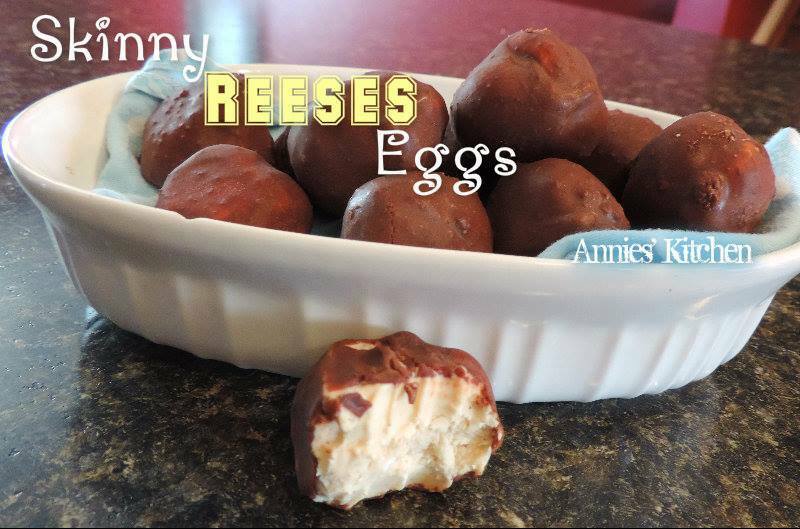 A healthy alternative to Reese eggs that will keep from sabotaging your weight loss! These are insanely delicious and keto approved! Did someone say chocolate and peanut butter? YUMMY! These are the perfect sweet tasting treat to turn to when you are following a low carb or ketogenic diet and need something different. 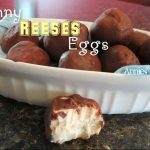 These Skinny Reese Eggs are super simple to make and the perfect snack to satisfy that chocolate peanut butter craving. Made with simple ingredients that you probably already have on hand or can easily purchase at the local store. These are fun to make and so easy and quick! These are great to have on hand for any upcoming holiday or special event where you have a hard time staying on track. While the kids are eating their chocolate you won’t feel tempted because you have this healthy alternative. Sticking to your healthy lifestyle or diet is much easier when you prepare ahead of time. The key to success is good preparation. These are great because they can be stored in the freezer and will be there when you feel that craving coming on. Instead of reaching for something unhealthy reach for a keto approved snack like this instead. Great for the kids too if you are trying to keep them on a low sugar lifestyle. Diabetic friendly as well and great for anyone trying to minimize the sugar levels in their diet. Less sugar is always better for anyone! If you have leftover chocolate after you’ve finished making these you can use it to make some fat bombs. Simply pour what is left into some molds or ice cube trays and freeze for a couple of hours. You can also add a few nuts or unsweetened coconut before pouring into molds for more texture. Yum! Mix well and refrigerate 2 hours or until firm enough to roll out into eggs. Freeze eggs while preparing chocolate. Mix really well with a whisk. Dip frozen peanut butter eggs in to cover. Store in fridge or freezer. What are the nutrition facts of these eggs? How much saturated fat in one egg. I snorted. ðŸ˜‚ Love your heart. You make a tiny hole in the egg and blow all the egg out till you just have a shell. Then you stuff the peanut butter mixture in the shell. LOL.